St. Paul wrote: As for a man who is factious, after admonishing him once or twice, have nothing more to do with him, knowing that such a person is perverted and sinful; he is self-condemned (Titus 3:10-11). The problem is, of course, that without the sacraments, and especially Baptism, Eucharist and Confession, it is almost impossible not to fall into mortal sin with one's free will. It is hard to imagine anyone in today's world maintaining innocence, without mortal sin, being saved outside the Church, which gives us opporunities for grace over and over and over. Sadly, God will actually stop giving grace if persons decide consistently to choose mortal sin over His Truth, either as given to all in natural law, as codified in the Ten Commandments, (which is the natural law "written in stone" ), and the holiness called for in the Beatitudes. Remember, only the perfect see God, so in addition, one must submit to purgation. I am not sure there is such a thing as invincible ignorance for adults in this day and age of information glut. Yes, God gives sufficient grace to all men and women, but to those who turn towards Him, He gives more and more grace. And, contrary to some clergy and lay people, a misinformed or underdeveloped conscience in a Catholic is not invincible ignorance. Christ is clear on what one needs for salvation as seen in these passages: Mark 16:16, Luke 13:3 John 6:54. Sacre Coeur Church in Sliema is one I had not found until today. In order to see churches, one must be there for Mass times, as most are locked-up immediately after Mass, which is very sad. I went to nine o-clock Mass here and found this link for you to check out the photos. I am rather amazed that the vast majority of Maltese and Gozitan churches do not have websites. The way to find out Mass times is by checking this excellent site, but, it is not the same as having a gallery of photos and events. Parish life is simply not on line. This, to me, indicates, that the youth are not interested, as most Maltese and Gozitans who actually go to church are not online, do not have email as I have discovered. The lack of online interest also indicates that most tourists who come here do not go to church. In other words, the tourists are not Catholic, or even Christians. The small Adoration Chapel behind the church is something else I just discovered. Located in an ancient building, connected to the convent of the Franciscan nuns, the chapel seem very old, but in reality was established in 2006. I am glad I found it! God promised the Messiah, the Christ Saviour in Genesis, written about 1,500 B.C. but with older oral traditions dating to at least 2,000 B.C. Call of Abraham circa, 2000 B.C. Law of Moses, 1450 B.C. or so. Formal Hinduism, 1450 B. C., or so. Christ, Second Person of the Blessed Trinity, and Son of God, born most likely 7 B.C. at the census of Augustus, but common date is year zero, A. D.
Christ's death and resurrection, 33 A.D. Dates of lives of apostles, Acts of the Apostles, Gospels and all epistles known and all before 100 A. D., the ending of revelation. Mohammed born 570 A. D., died 632 A. D.
The only leader of any "religion" who has claimed to be God is Christ. As C. S. Lewis states, Christ, therefore was either a liar, mad, or indeed, the Son of God, the Second Person of the Blessed Trinity. 1228 Hence Baptism is a bath of water in which the "imperishable seed" of the Word of God produces its life-giving effect.32 St. Augustine says of Baptism: "The word is brought to the material element, and it becomes a sacrament." Remember when I had these in the flat earlier? Well, I had to go the other night in the courtyard and I stepped on one in the dark. Eeiiiuuu! Even though I was wearing clogs, the experience was not nice. At least the creature was not in the apartment. But, how can they live in such cold weather? It has been about 34 at night. Amazing! The cold has killed off the mosquitoes, which is great, as Maltese ones like me, but North American ones do not. I admit I smashed one of these Lehmannia melitensis which was trying to slide in under the crack in the door the other day. My son would not approve. He likes mollusks. The Cats of Malta do not eat these, I guess, as two cats live in the courtyard and they ignore these creatures. I suppose the fact that I give the Cats of Malta tuna has something to do with it. I do not mind the snails, as they just climb on the walls and do not try to get inside. Here is a photo of Theba pisana. Thanks to wiki for the links and photos. Someone recently made a comment that they did not like the phrase "Church Militant". This person thought it was too militaristic. What about the old teaching that at Confirmation we become "soldiers of Christ"? Three battles wage daily and we are part of these battles. First, the battle in our own soul, mind, heart, imagination and will. Second, the battle against the world and all the pressures and distraction it brings into our lives. Third, the battle against Satan and his legions of demons. I think the Church Militant is a most appropriate name, as opposed to those who want to be in the Church Mushy. How is it that so many Catholics have become spiritual pacifists? 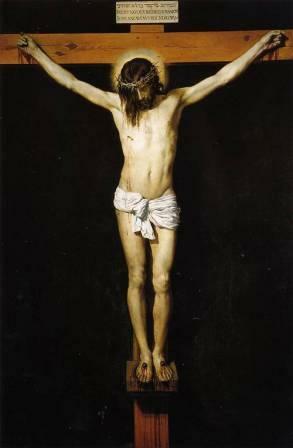 Christ Himself waged spiritual war not only in His forty days in the desert, but on the Cross. The Cross is a sign of victory. My little flat smells like a cheese shop. I have decided I am addicted to ġbejniet, which is from Gozo. I must say that some of the best cheeses I have ever had are Gozitan cheeses. There are three kinds of the same cheese, which is made from goats' milk. The first is fresh, the white ones in the photo. The second is sundried, the creamy colored ones in the photo. The third is peppered, which is obvious, and that type is a bit harder. The little cheeselets are found in ravioli here, a Gozo speciality. My own experience of the Dark Night, which I am still "in" resembles that of the Three Magi on their way to finding Christ. They had corrupted information from when the Jews had been in Exile in Babylon and some of the prophecies of the Messiah crept into the Zoroatrian religion. Through their own false religion, and through the study of both astrology and astronomy, the Magi figured out that a savior king would be born in the House of the Hebrews, the sign of Pisces, the Fish. Most likely a combination of planets, such as Jupiter, the god planet, Saturn the savior planet and Venus or Mars, either love or war, moving into Pisces, brought the Magi to Christ. So ended paganism at the feet of the God-Man Christ. But, until they met Christ, the Magi travelled in darkness. They only had hints from natural, man-made sources and a few Jewish Scriptures. They were not part of the Chosen People of God. They did not have Revelation. That God allowed them to take a long and arduous journey must have been part of the Three Kings purgation. They had to leave a comfortable, high status in their own culture, where they would have been counselors to kings and go into desert and mountainous areas to find a Person they believed was divine. They only had enlightenment, or illumination at the moment when they found the Child. The Epiphany is not only Christ revealing Himself to the Gentiles, but the inner, spiritual illumination which comes after purgation. The Kings would never be the same after their experience of God Made Man. The Magi must have moved to Bethlehem totally on faith, without any consolation except the mysterious star. That one, small light was like the faith one has in the Dark Night. One cannot see God, one cannot perceive any consolations, but one continues moving forward towards God in faith. One waits for the moment of epiphany, of illumination. What the Magi tell us is that we must persevere in faith even if the journey takes a long time. They may have travelled months. 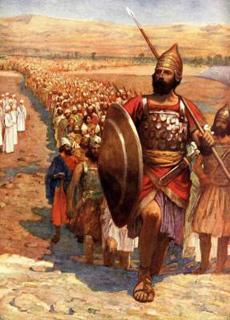 Faith kept them moving towards the goal of seeing, being in union with the Promised One. Such is the journey of the Dark Night of the Soul. I did not know until I read this that one can get a Master's Degree in Digital Humanities. 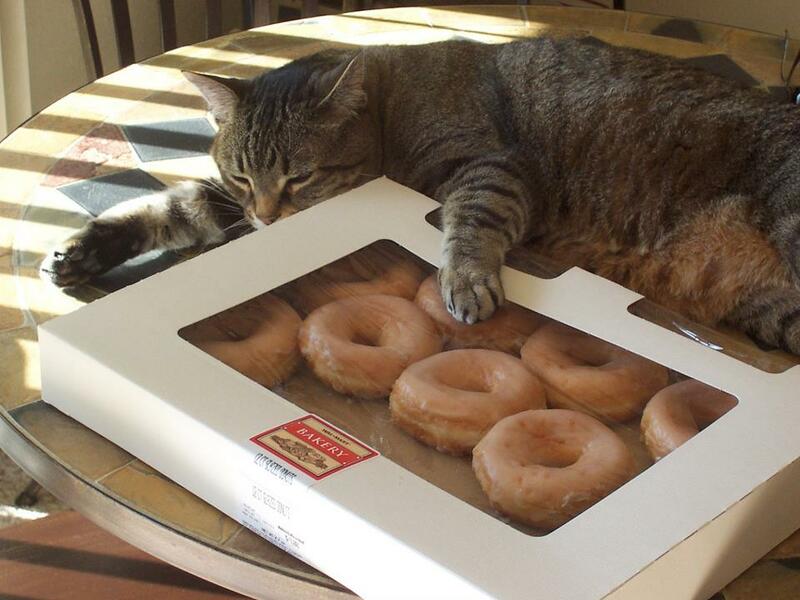 And, I know what this feels like...but God makes new doughnuts everyday!